365 days of pure pleasure. 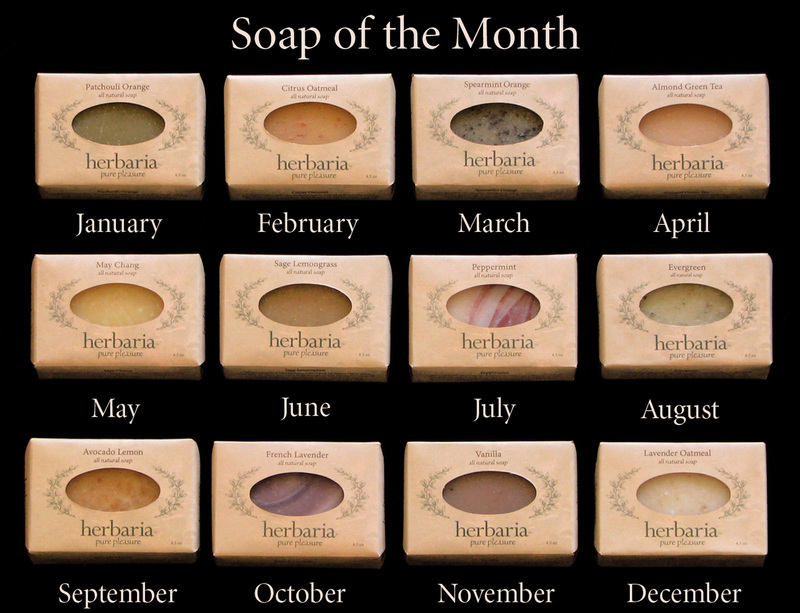 Imagine the delight of finding a new Herbaria soap in your mailbox every month for a year. 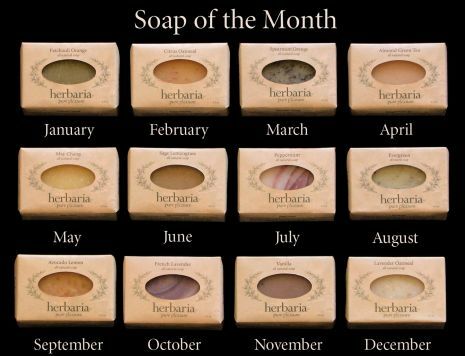 Give that joy with our Soap of the Month. We'll ship a dozen bars that deliver 365 days of bathing pleasure. The first bar comes with our Stow'n Go soap dish. The price includes the discount of two free bars per our free bar offer, so you're really paying for just 10 bars plus postage. Our Twosome Soap of the Month doubles the pleasure and saves $25. We'll send two bars each month. That’s 24 bars, a perfect gift for any couple. Choose to receive either (A) two of the same soap varieties as the single Soap of the Month program or (B) add 12 new varieties for the second bar. You choose in what month the 12-month subscription starts: just let us know in the comments section of the shopping cart. The first order will be shipped immediately and then we'll ship each subsequent order on the first of the month via the United States Postal Service. The first bar comes with our Stow'n Go soap dish. Domestic delivery only. No international orders. Price includes earned free bars & shipping.